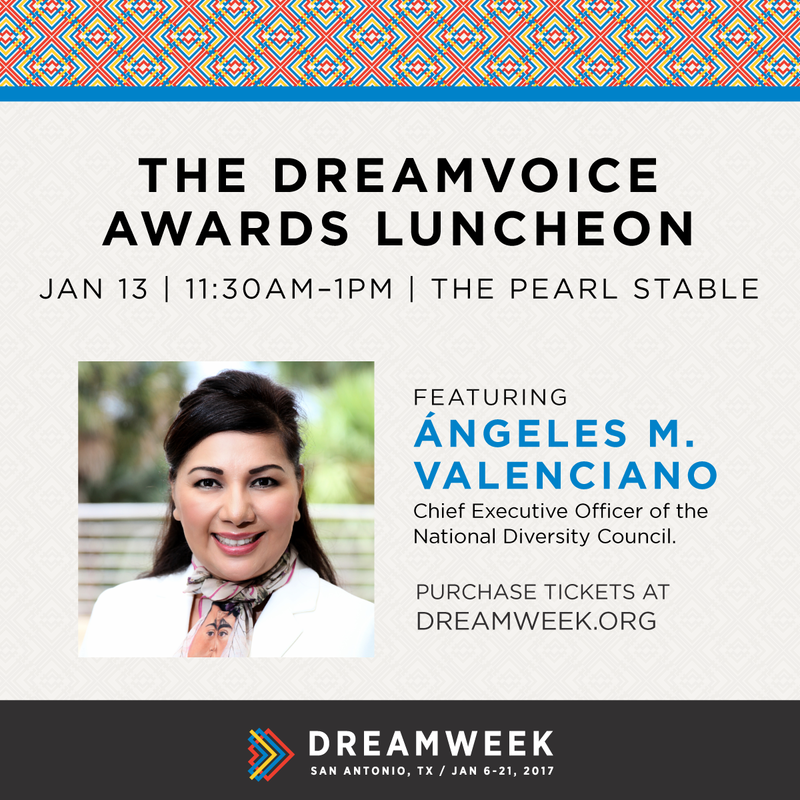 SAN ANTONIO, January 11, 2016 /3BL Media/ – National Diversity Council CEO, Angeles Valenciano, will have the honor of acting as the keynote speaker for DreamWeek San Antonio’s DreamVoice Awards Luncheon. This event will take place at The Pearl Stable on January 13, 2017 from 11:30 AM to 1:00 PM. The purpose of this awards luncheon is to honor courageous leaders in the local community that seek to improve equality for people of all backgrounds. DreamWeek is a 16-day summit of over 100 events including symposiums, film screenings, panel discussions, mixers, debates, and more. Each event is designed to foster the exchange of ideas on universal issues in order to advance the voices of tolerance, equality, and diversity. The DreamWeek Summit ends with the 30th annual Martin Luther King, Jr March. Since its inception in 1987, San Antonio’s March hosts more than 300,000 participants, making it the largest of its kind in the nation. For more information about DreamWeek, please visit www.dreamweek.org. Tickets for the DreamVoice Awards Luncheon can be purchased at www.dreamweek.org/dreamvoice. A non-profit organization committed to fostering a learning environment for organizations to grow in their knowledge of diversity. The council affords opportunities for organizations to share best practices and learn from top corporate leaders in the areas of diversity and inclusion. More about the National Diversity Council is available at: www.nationaldiversitycouncil.org.